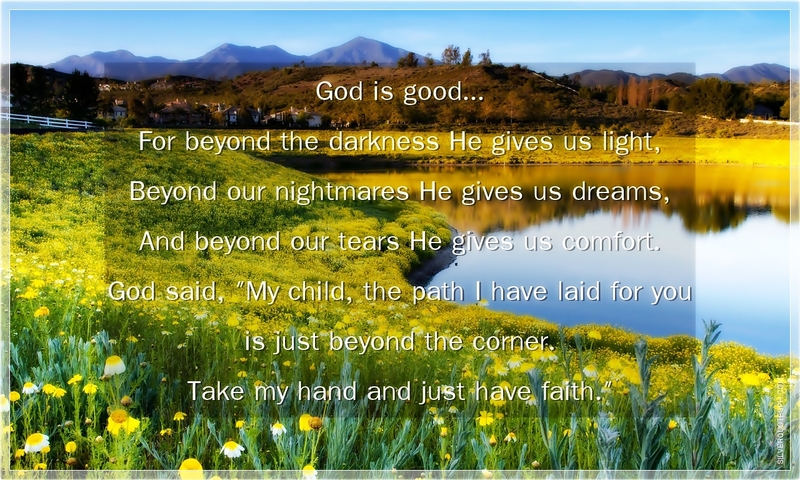 God is good... For beyond the darkness He gives us light, Beyond our nightmares He gives us dreams, And beyond our tears He gives us comfort. God said, "My child, the path I have laid for you is just beyond the corner. Take my hand and just have faith."